Have you tried chiropractic but had poor results or maybe no results? This is where the Gonstead Technique is the difference that changes lives. The most common comment after the initial exam and consultation is "I have never had such a thorough exam!". We don't mess around with your health and everything we do is uniqueto you and your history. Your health is NOT just another case to us. We examine your history and study films taken of your spine to decide the course of action (unique to you) needed to get you out of pain quickly. We take the time to measure the nerve compression with a scope and manually palpate the spineous process to reveal tenderness or swelling in the spinal joints. We adjust the spine accurately and precisely to move the joint and decompress the nerve allowing healing to begin within your body. We educate you how to change your lifestyle so that you can continue on the path of living well and being well. At Hackbart Chiropractic we are driven to provide THE BEST chiropractic care by utilizing the Gonstead Technique. Precise and effective adjusting eliminates nerve pressure on the spinal cord. Nerves that affect posture, muscles, back, neck, limbs....as well as, breathing, digestion and immunity. We have patient testimonials ranging from help with back/neck pain, shoulder/hip problems, carpal tunnel and bunions to relief from allergies, fibromyalgia, ear infections, ulcers, headaches and even fertility issues. The nervous system is an amazing machine and it's source of information is wrapped up within the spinal cord which runs along your spinal column. We are hard on our bodies and sometimes something as small as a sneeze can throw your spine out of joint or flare up an old injury that has gone unnoticed until pressure on the nerve sends a shooting pain down the arm. Small things can trigger nerve interference in a way that can effect every day life as every organ, muscle and nerve originates within the spinal cord. 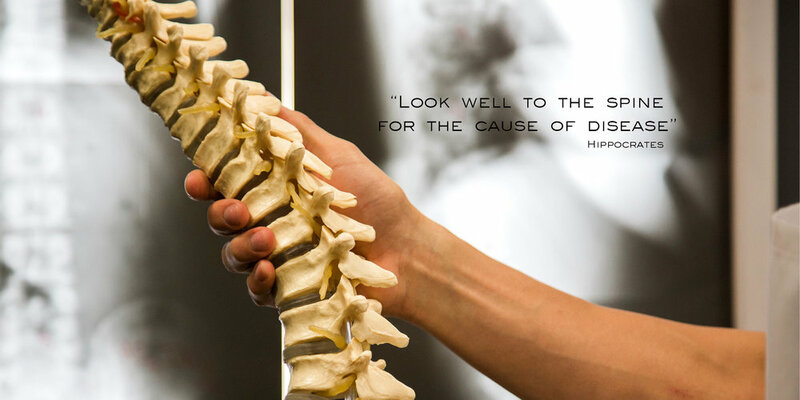 We focus on health through a well functioning nervous system by aligning your spine properly and helping it stay in alignment if you so choose through maintenance care. Relieving pressure on nerves can produce amazing results in many people leading to living well and being well. When your body is functioning properly you get sick less, have fewer injuries, decreased use of medication and possible surgeries and as a result many of our patients have experienced fewer medical bills and expenses. Chiropractic is not just about back pain....it's about total well-being and finding hope, healing and health in the bodies own God-given power to heal. Stop in and find out more! We are willing to discuss any of your concerns or issues you may have concerning chiropractic and your journey to health.